Be a part of spring cleaning up downtown Piqua! There is always plenty to do so get your organization or family involved. More details coming soon! Friday, May 10 –5 – 9 p.m.
Thursday, May 30 – 3:30 – 6:30 p.m.
Thursday, June 6 – 3:30 – 6:30 p.m.
Thursday, June 13 – 3:30 – 6:30 p.m.
Saturday, June 15 – Noon – 6 p.m.
All years of cars and trucks are welcome to be a part of this 3rd annual event. Dash plaques will be given to the first 75 registered cars. This year the car show will be held in the 300 & 400 blocks of N. Main Street. Saturday, June 15 – 7 – 11 p.m.
Canal Place in downtown Piqua comes alive with music, food and fun. Thursday, June 20 – 3:30 – 6:30 p.m.
Thursday, June 27 – 3:30 – 6:30 p.m.
Thursday, July 11 – 3:30 – 6:30 p.m.
Thursday, July 18 – 3:30 – 6:30 p.m.
Saturday, July 20 – 7 – 11 p.m.
Thursday, July 25 – 3:30 – 6:30 p.m.
Thursday, August 1 – 3:30 – 6:30 p.m.
Thursday, August 8 – 3:30 – 6:30 p.m.
6th Annual event. 100 craft beers, river activities and a silent auction. Tickets will on sale in early summer. 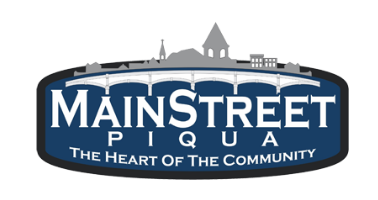 Visit Mainstreetpiqua.com for details. Thursday, August 15 – 3:30 – 6:30 p.m.
Saturday, August 17 – 6:00 p.m.
Saturday, August 17 – 7 – 11 p.m.
Thursday, August 22 – 3:30 – 6:30 p.m.
Thursday, August 29 – 3:30 – 6:30 p.m.
Thursday, September 5 – 3:30 – 6:30 p.m.
Thursday, September 12 – 3:30 – 6:30 p.m.
Thursday, September 19 – 3:30 – 6:30 p.m.
Purchase your ticket for $20 and spend a delightful evening visiting over 20 downtown Piqua businesses and pick up a chocolate treat at each designated stop. 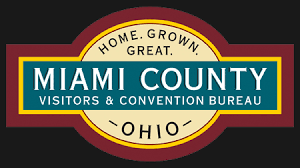 Tickets will go on sale in mid-September can be purchased at Mainstreet Piqua at 326 N. Main Street. More details coming in early fall! Saturday, November 16 – 7 p.m.
Friday, December 6 – 6 – 9 p.m.
Saturday, December 7 – 2 p.m.
Saturday, December 14 – 10 a.m.